While Charlotte is considered a “big” city, there really is a charm and small community feel about it that I absolutely love! As someone who loves all things FOOD, I’m crazy excited that Charlotte is chock-full of incredible places to enjoy a scrumptious morsel of deliciousness! 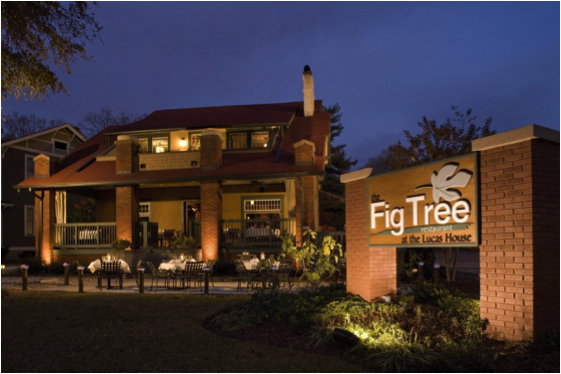 One of those places is none other than The Fig Tree restaurant nestled in the heart of Charlotte’s Elizabeth neighborhood. 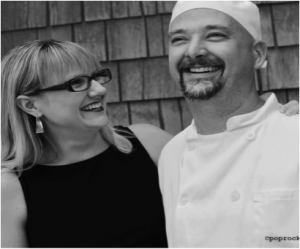 But what sets this restaurant apart from so many begins with the wonderful husband and wife team behind it. They make no secret that their family is their #1 priority, and with such hectic schedules, that’s not always an easy thing to do. Yet together, they have built an amazing foundation for all things that they love. Charlotte Smarties, I’m so excited to introduce you to my friends, Sara and Greg Zanitsch. We’ve all heard it before, “I could never work with my spouse!” and yet the two seem to making it work…the question is, how… and how do you keep work life and home life separate? We don’t take work home with us. Sometimes an employee will say to me “Did Greg tell you that (fill in the blank)?’ and my response is usually “Believe it or not Greg and I don’t talk about YOU when we are at home.” We don’t. Since we work together there is no need to bring it home. On the other hand, it is very hard for the two of us to enjoy a meal out together. 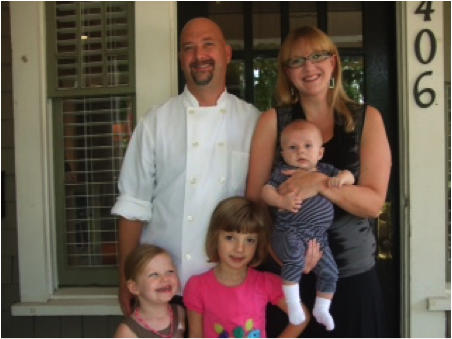 We are always discussing the food, service and venue from a restaurant owner’s point of view. To really relax and have a date night it usually requires getting out of Charlotte. How did you ultimately decided on Charlotte as your location? What makes this city so special? We love that Charlotte is such a young, vibrant, growing city. We were lucky to find such a unique venue so close to Uptown. What are some of the biggest challenges with being a restaurant owner? Our challenges are different now than they were 10 years ago. Now we are trying to balance school and family time with a business the keeps us here until midnight most evenings. Anyone who lives in Charlotte and appreciates fine dining has or either eaten at your restaurant, or at the very least, has it on their list of places to go! What is it about the Fig Tree that sets you apart from the rest? 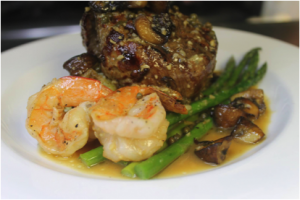 Reputation, location, consistent level of service, high quality food and we truly care. We choose the highest quality ingredients that you can buy, train our staff to offer the best possible service and serve it all in a 102 year old Craftsman style bungalow. Greg is not just an “executive chef” but a hands on chef who is actually working the line. Having owners who are actually here and working makes for a big difference. You can see it in the attention to detail. 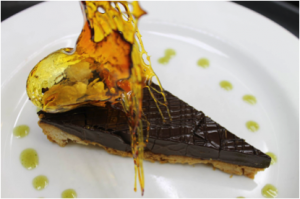 The Fig Tree is coming up on its 10th anniversary – with so many restaurants opening and closing everyday, what are some of the reasons you think has made the Fig Tree stand the test of time? We have a staff that has been with us for a very long time. They connect with our guests and genuinely care about giving people a good time. They know what Greg and I expect so that even when there are evenings that we can’t be here the service and food don’t suffer. I think so many people romanticize the thought of opening their own restaurant….. Break it down to reality for us – what is it really like and what is some advice you can give someone who is thinking about opening a restaurant? Don’t do it unless you have experience washing dishes for 100 people in an hour. Seriously. It is not glamorous. It is hard work. It can be fun and exhilarating but you have to be able to get your hands dirty, your feelings hurt and stay creative all while appearing calm. I can’t even imagine how difficult and stressful it must have been to open your first restaurant. What were some of the biggest challenges? It was extremely challenging and most of it is a blur. We were new to the city, learning our way around, meeting with purveyors, vendors, bureaucrats, obtaining licenses, certificates, construction headaches, deadlines, and MONEY. Our 1st anniversary snuck up on us before we knew it. That time in our lives is such a blur and seems so long ago. 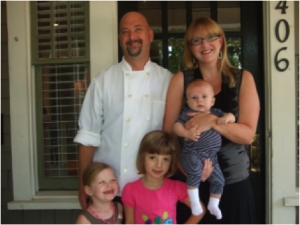 The Fig Tree always has some fun Special Event going on. What have been some of your most successful promotions and what are some examples of what we have to look forward to in the future? We have amazing wine dinners with guest speakers from all over the world. They are typically 5 to 6 courses paired with wine and the guest is usually the winemaker him/herself. We have had vintners from California, Oregon, Washington, Italy, France, Australia, Germany, Austria, Spain, Chile and Argentina. We have met some fantastic people and had even more fantastic wine. What do you do when you’re not at the restaurant? Play Barbies, build pillow forts, and try to enjoy every moment while they are 6, 4 and 1! Do you see a change in the way young people look at food than they did when you were kids? There was no Food Network when we were kids. Kids are exposed to many more food options today than in the past. When I was little we never had a mango for a snack. I didn’t even know how to cut one. Now my kids ask for all sorts of different things that they have seen on TV, at the restaurant or in their friend’s lunches. It is very encouraging to see children experiment with the unfamiliar. 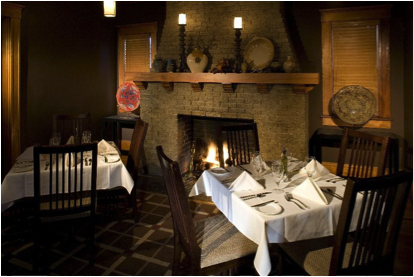 What is your favorite menu item at the Fig Tree? 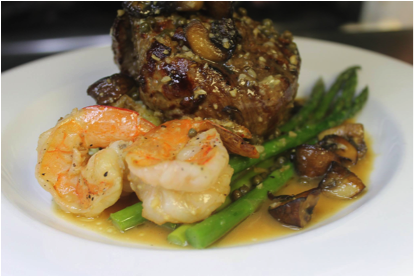 The menu changes frequently however Greg’s favorites currently are the Ostrich Carpaccio and the Veal Osso Buco. My current favorites are the Rabbit Saltimboca and the Octopus appetizer. But I also love that he can change that up on me at any time and I could have 2 or 3 new favorites tomorrow. When you’re at home, and no one is looking, what do you make for yourself to eat? Tacos! Who doesn’t love tacos? They are quick and easy to make after a night of serving others. On nights off we can be more creative. But on nights that we work it always seems to be some sort of tacos! If you could relive any meal of your life (one you did not prepare), which would it be? His – Greg hasn’t lived it Pittsburg in 20 years and longs for a sandwich from Primanti Brothers. Something about putting the French Fries right on the sandwich just sits well with him. Mine – My mother was a fantastic cook and I miss her roasted chicken and her homemade apple dumplings. I used to have it each year for my birthday. Any meal with her would be a meal I would like to relive. Ours– The caviar course that we had at Jean Georges in NYC. Opulent meal from start to finish but the caviar was life changing! Favorite cocktail/wine? Wine, wine, wine. Cocktail trends come and go but you can’t argue with a fine glass of Bordeaux. 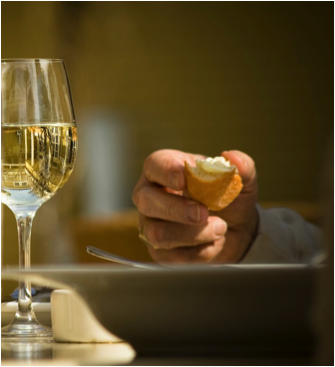 From Cynthia: Speaking of wine, Wine Spectator has awarded the Fig Tree restaurant the ‘Best of Award of Excellence’ award for the 9th year in a row, as having one of the most outstanding restaurant wine lists in the world. So if you’re a wine lover (and lover of great food prepared with care and attention), you might want to check out their ‘Wine Dinners’. I don’t know about you, but I see a date night at the Fig Tree restaurant in my very near future!!! Enjoy some of these pics of the Fig Tree’s delicious food. Cheers! I just love Greg and Sarah! It’s great to see them recognized. And it reminds me that I need to schedule a date night there…it never disappoints!